If you made it to this part of the guide, then by the end of this guide, you will realize building Chrome extensions is like building a website. Emphasis on “Like” 😃 . In the last part of the tutorial, we got into Chrome extensions and built our first extension. We connected it to our server using Pusher to get updates in realtime. For this tutorial, we will allow users to customize their experience a little. With Express and body-parser you will be handling requests like “Please, can I get a real challenge?” 💪. We still use HTTPS to make the request to CryptoCompare’s API because as of this writing, they do not support requests over HTTP. Enough talking, open your index.js file. To reduce confusions, we will assume that this file is empty. So feel free to wipe everything in it and start afresh. We shall define their contents soon. At this stage, we have imported our database manager and passed the name we want it to create the database with. Then we created an instance of express and express.Router() to allow us to create a server and define routes respectively. We also informed our express.Router() handler to use body-parser definitions, this will help us to read data sent from the client either as json or regular form submission. We imported helper functions to help us process our requests and responses to users. We will create them shortly. The allowCrossDomain middleware will allow our Express application receive a request from a domain other than itself. For instance, if we run our app on localhost:4000, we can not make a call to it from localhost:4001 without a pre-flight issue (CORS). The fetchCoins() method fetches the coins and sends them to Pusher which will broadcast to all our users who are listening on that channel. Finally, we set our application to listen on either a dynamically assigned port or 4003. We are set to go at this point. In our /auth route, we are checking if the user exists. If the email and password matches what we stored, we log the user in and send them a token. If the email exists but the password does not match, we have to handle that as well. What we are sending back to the user is their token and ID to help them make requests in the future. When we cannot find the email address of a user in our database, we assume we have a new user and register them directly. 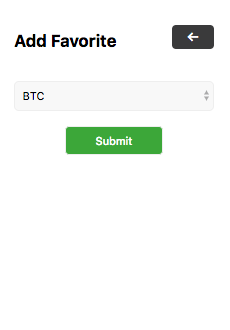 We also generated a token and returned it to the user. WARNING❗ For any reason whatsoever, do not implement your authentication in a production application like this. While it provides convenience for you, it is very bad for user experience. We did it for the sake of this guide to get quickly to the most important thing — the Chrome extension. The coins route is protected by the access token. 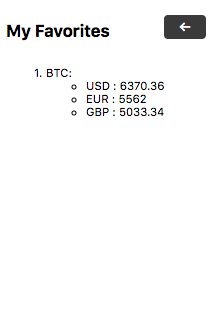 This means only authenticated users can fetch the coins we track their prices. The good thing about our token is that we encoded it with the user’s ID. This means, once the user presents a valid token, we can find out who the user is from the token. Awesome right? 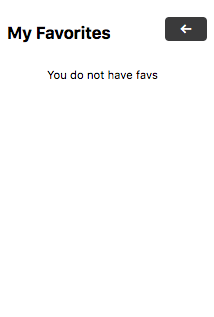 Once we find who the user is, we add the coin they chose to their favorites. Whenever they click on the link to see their favorites, we return it to them and track price changes in realtime. This is straightforward. If the token is invalid, we return 401: Unauthorised to the user and that settles it. If the token is valid, then we decode it and retrieve the user’s favorite coins. Sqlite3 returns an array of objects for us, so we take all the coins and push them into an array — coins. We use the coins array to construct the URL we will use to make requests. Then we generate an event for the user based on their id. This makes it possible for us to send a message that only the user will receive. Our route definitions are complete now. Let us define our helper functions. We are using Pusher in one of the functions here, so it only makes sense we define it. We exported all the functions with their name so it is easy for us to import them where we need it. We created allowCrossDomain function to help us handle CORS. We also moved our fetchCoins method from part one into our helper file, this way the method is reusable especially when it comes to creating dynamic events on Pusher channel. 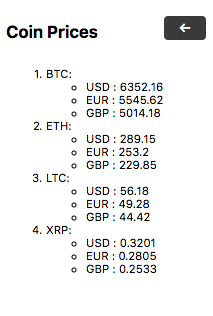 Finally, we defined our generateURL method, which we will call to fetch our defined currencies or a user’s favorite. The database manager manages the database. We will define the queries to create the database, select from the database and insert into it. Because this is not part of our focus, I will gloss over the long code pasted below and explain things that may vary if you are familiar with MySQL. We will execute sqlite3 queries that will not return a row or rows with .run() method. When we want to fetch a single row, we will execute the query with a .get() method. When we want to fetch multiple rows, we will execute the query with a .all() method. To get the id of the last inserted item, we run this.lastID inside the callback function we passed to .run() method. All sqlite3 methods are asynchronous, hence the callback functions we pass to each one. Now, let us modify our Chrome extension. We have explained Chrome extensions in details in the last post. This means we will get right to our customization. We removed the style we included in the page and then proceed to add it to an external stylesheet. We will create the external stylesheet later. The first thing you will notice is that we removed the Pusher scripts we had on this page before. We moved it to where we will need it shortly. Next, we added links to other pages. We will create the pages very soon. Then we have a form which will handle login. It seems we are hiding both the link and the form. So what shows up? We have removed the script.js file and created index.js in the /js directory. Before we proceed, open you terminal to create the following folder and files. These two methods handle our authorization token. One stores it in Chrome storage and the second retrieves it. Chrome storage works like local storage but it is asynchronous, hence the callback functions we defined. When we store tokens, we store a time they are to expire as well. This allows us to remove the token if it has expired without having to make a request to the server. Since we know the tokens typically last a day, we set the expiration time here on the frontend. When we retrieve a token, we check if it has expired or not. If it has expired, we remove it completely and so the user will not try to use it to make a request. 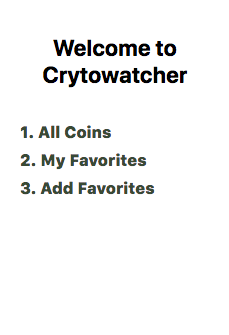 The first page we want to make is the page to display all coins. 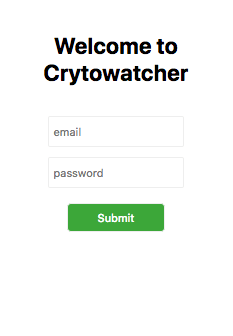 We added an auth.js script, which ensures only an authenticated user views this page. We moved the scripts.js file from in /js directory and changed nothing in it. We added a link to take us back to home page. We now have a nav and main section on our page. We called the getToken function and check if we have a valid token. If we don’t, we redirect the user to the index.html file where they can log in. If you got to this point, then I am happy to tell you that we are done coding. Time to mount the extension and give it a trial. From your browser, open chrome://extensions/ and click Load Unpacked. Then select your extension’s directory. If you did not deploy your application to Heroku like we did in part one, you can run it locally to give it a trial. However, if you deployed to Heroku, please go through the code and replace http://localhost:4003 with your Heroku app URL. In the last part, we said we would extend the extension to make it easy for a user to specify the tokens they want to track. Well, we have delivered that. At the start of this tutorial, I mentioned that when you are done with it, you would realise building a Chrome extension is like making a webpage. There are a few things that change when you are building an extension. Before you say “Wow! So this is all there is to Chrome extension”, let me pause you for a moment. A Chrome extension can interact with the webpage where it is loaded. It can also do so much more than what we have seen so far.